When it comes to celebrity musicians, the majority of their blood boils for anything associated with President Trump that you’d wonder how they were still alive. They literally hate every idea that he stands for whether it’s about the badly needed border wall, beefing up national security, the fake news media cycle and even his disdain towards those anthem kneeling NFL players like Colin Kaepernick. But Trump found a hero in the unlikeliest place when this famous singer agreed with Trump and blasted Kaepernick. Super Bowl LIII is by far the biggest American sporting event of the year where approximately 110 million citizens will have their eyes glued to the screen to see the outcome of the matchup between the Dynasty New England Patriots and the new kids on the block, Los Angeles Rams. You’ll probably be watching, that is, unless you’re one of those who are boycotting the NFL because they believe disgraced former quarterback Colin Kaepernick’s “blackballing” from the NFL. There are a ton of celebrity musicians who have already blackballed the Super Bowl halftime show like Jay-Z, Rihanna and Cardi B., but that didn’t stop bands like Maroon 5 and superstar rappers Travis Scott and Big Boi from ignoring the liberal boycotts in accepting the gig anyway. Pro-Kaepernick supporters were not happy with their decision. 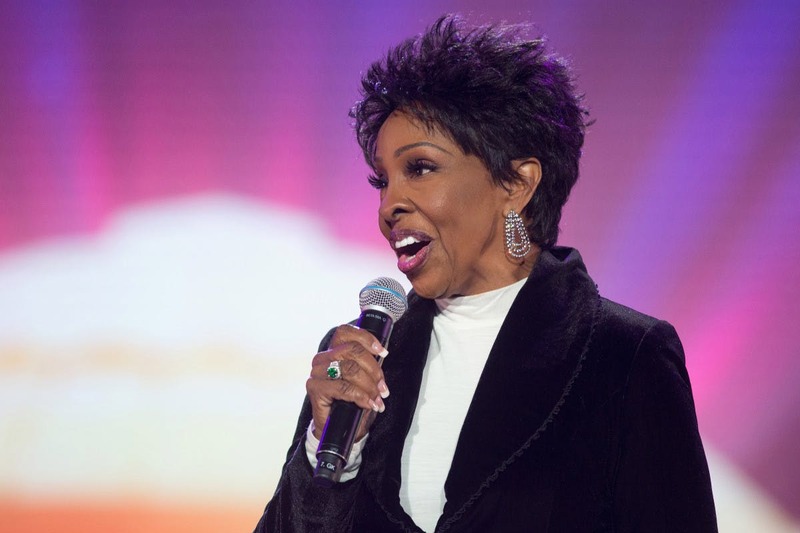 Nevertheless, one famous singer, Gladys Knight, gladly accepted the gig of singing the national anthem before the Super Bowl and to everyone’s surprise, she does not agree with Kaepernick’s divisive tactics. Knight took it upon herself to write to the entertainment trades magazine, Variety, about her contempt for his methods. That is something President Trump would agree with, don’t you think? In fact, that’s what he’s been saying all along, hasn’t he? These two issues should standalone and that doesn’t mean they have to be mutually exclusive. It was Colin Kaepernick that forced those two together. Those are some powerful words from the legendary singer. The good news is that the NFL only had a handful of players that kneeled for the national anthem this season so it’s likely that no one will kneel before the Super Bowl this year. The NFL would likely chastise any player if that happened on the biggest stage of the year. There would be thunderous boos unlike the world has ever seen if one single player kneeled. And then millions of people would turn off their TVs instantly. But it’s good that Gladys Knight set a precedent. She sent a message to any player or fan who has a problem or wants to send a message during the national anthem not to protest while she’s singing. She’s too much of a legendary soul singer for anyone to disparage America while she belts our beloved nation’s song. But get ready for the Super Bowl commercials because you can bet that there will be a lot of companies who will come down hard on Trump. It will be like an anti-Trump love affair. It should be interesting to see how many people turn the TV off after the national anthem. Hopefully someone will have those numbers.